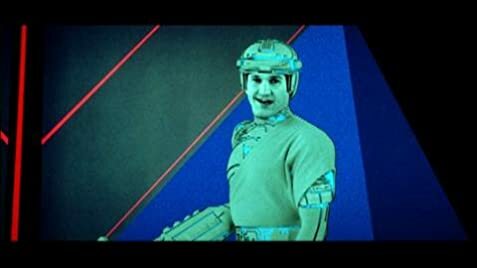 More than just reminiscent of Lang's Metropolis, Tron is a beautiful, well made exercise from a main stream producer (Disney) which reminds us of the time before Jurassic Park and Episode One where creative skill was left to human perception rather than a computer's digitally correct ideal. Owing more to the human colourists than the now outdated computer effects, this film is evidence - similar in a way to Kubric's pre-Moon landing, pre-CGI 2001 - to the creative and more sensory-pleasing abilities of the human artist over soul-less programmers, from a time before when a box would 'parse' it all for you. It's difficult to express how high-powered computers fail to create an image that is satisfactory to the human eye; there is always something that rings false about it. Tron was created in a period of wire diagrams being the best you could coax from a computer; anything else was added by human hand. A film that makes you nostalgic for the time when Disney made films that were accessible for all, almost Bakshi-like in its disregard for the mainstream. There is struggle against adversity; there is an oppressive, evil regime; there are two heroes who survive despite all odds; and there is love conquering all (a token woman is included as love interest. Ironically like the IT industry). The naive use of technical jargon merely adds to the "computer program" style setting and this film is ideally suited for today's retro-chic society. As a Disney film this is aimed predominantly at children, so if you fail to understand the plot then I would recommend sticking to the Lion King or some other pabulum. This is a great film - watch it. To inspire the actors, arcade games were placed on the production sets and could be played during downtime. Jeff Bridges apparently was the most adept at the games and found it hard to tear himself away from a game to shoot a scene. When the escapees first spot the water, Tron runs to it, then Flynn, then Ram. But when Flynn reaches it, Ram is already there. There are no opening credits, save for the production companies (and the opening prologue in the English language foriegn version.) For the title, a pair of lightning bolts flare, forming a brilliant point of light, where various parts coalesce to form a human figure. The point of light flares, revealing the title TRON, which an electric point of light shimmering in the "O". The title TRON rushes toward the camera, rotating around the "O", and as the title gets closer, a landscape of three dimensional circuitry appears within the letters themselves. As the camera dives in, it levels off, and the circuitry turns into the lights of a cityscape, dissolving into the establishing shot of the arcade. When the film was released in theaters, there was an alternate prologue which has since been excised. Similar to the prologue on the 20th Anniversary DVD, the alternate prologue states that every time we renew our driver's license, pay our telephone bill, or use a credit card, a bit of each of us is left within the computer. This prologue is not on the home video versions, nor on the 20th Anniversary DVD.